Yarn Type A scrumptiously textured yarn that is great for babies and children alike. It comes in a range of vibrant colour effect shades that kids are sure to love! 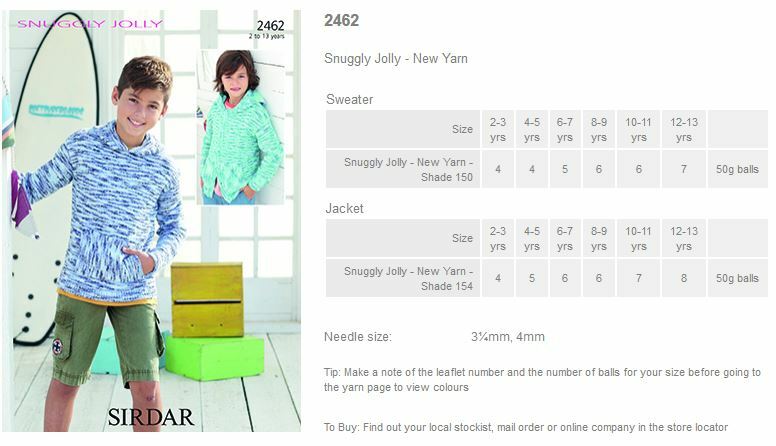 It is a fantastic all season yarn and has plenty of stylish designs for children aged between 2 to 13 years. Jolly DK is machine washable on a wool cycle. 51% Bamboo sourced viscose, 37% Acrylic, 12% Nylon. 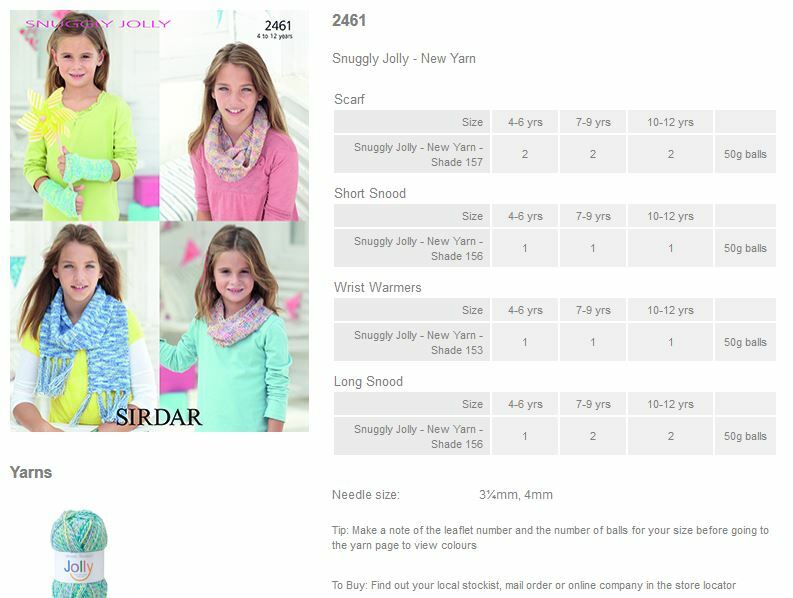 Leaflet with designs for V-Neck and Shawl Collared Cardigans using Snuggly Jolly. 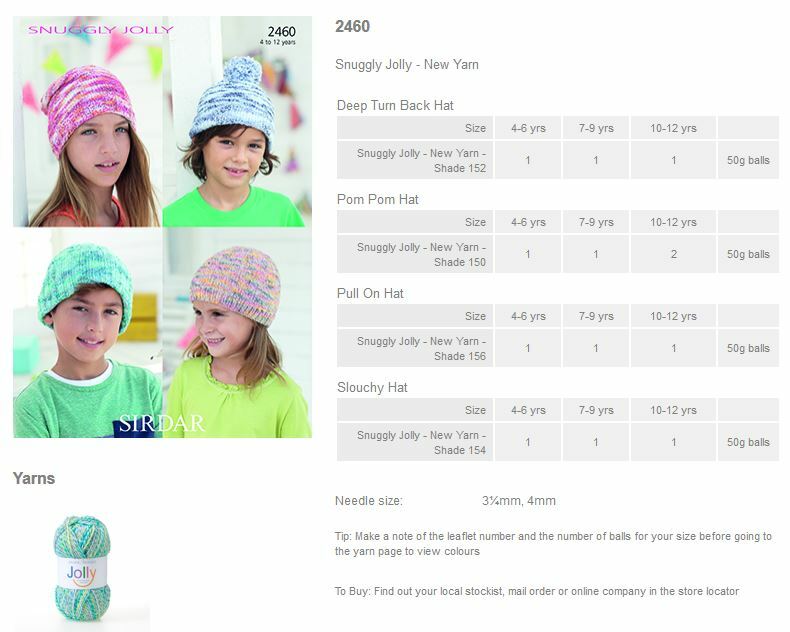 Leaflet with designs for Hats using Snuggly Jolly. Leaflet with designs for a Scarf, Snoods and Wrist Warmers using Snuggly Jolly. Leaflet with designs for a Sweater and Jacket using Snuggly Jolly. Leaflet with designs for Roll Neck and Cowl Neck Sweaters using Snuggly Jolly. 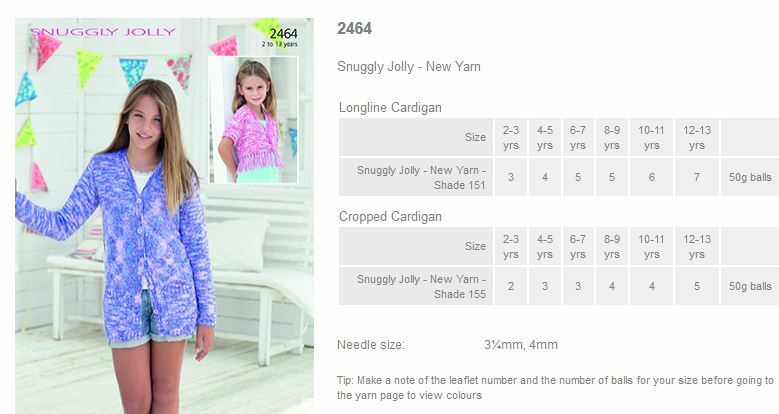 Leaflet with designs for Long Line and Cropped Cardigans using Snuggly Jolly.